as each one of us was when we were in our mother’s womb. In his Spring 2018 Pastoral Letter, Archbishop Kieran O’Reilly SMA, Archbishop of Cashel and Emly, has asked young people especially to be vocal in their support of a NO vote in the forthcoming referendum on the 8th Amendment to the Irish Constitution. 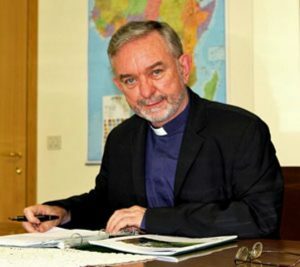 Archbishop invites people in the following days to pray earnestly and to become “Missionaries for Life” so that the people of Ireland will “Choose Life”. you are present in the whole universe and in the smallest of your creatures. You may read Archbishop Kieran’s Pastoral Letter by clicking here.